When you’re inside the coldest vodka tasting room in the world, it makes sense to be wrapped up in one of the warmest coats available on the planet. 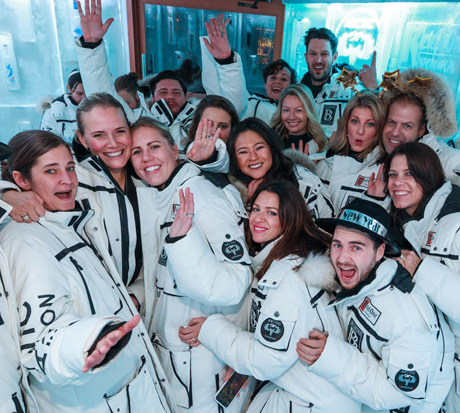 The Bearfoot Bistro is proud to provide visitors to the Ketel One Ice Room with Arctic Expedition heavy duty parkas to keep them comfortable during their sub-zero experience. Wish you had such cozy cold weather wear at home? As an Arctic Expedition authorized dealer, the Bearfoot Bistro is delighted to offer similar jackets for purchase, available to take with you at the end of your visit. Your backcountry experience starts here. 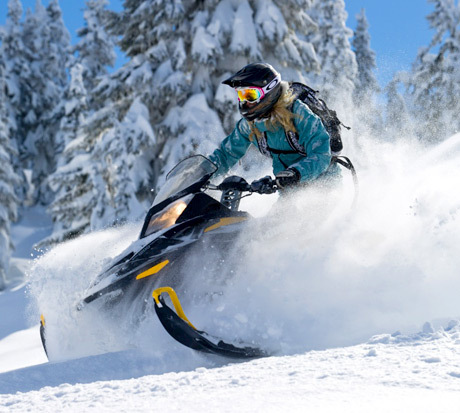 From snowmobiles to Snowcats, dogsleds to ATVs, Canadian Wilderness Adventures provides guests with unrivalled access to the stunning Callaghan Valley. As catering partner, the Bearfoot Bistro offers a variety of dining choices – from luxurious fondue to alpine breakfasts and salmon bakes, to fine dining in a cozy alpine cabin on Sproatt Mountain. 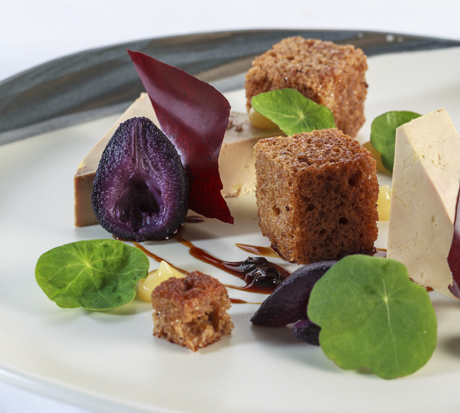 “Art in the plate please the eyes as much as the taste buds”. 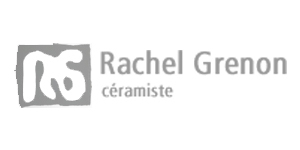 The artist ceramist Rachel Grenon knows the importance of that detail; In September 2016 she was commissioned to make an exclusive series of dishes for the Bearfoot Bistro’s tasting menu. Epicurian and former Whistlerite, she presents to you her finest work with these six original and exclusive pieces of art. These plates and bowls compliment and enhance perfectly the creativity of Executive Chef Melissa Craig and Executive Pastry Chef Dominic Fortin. 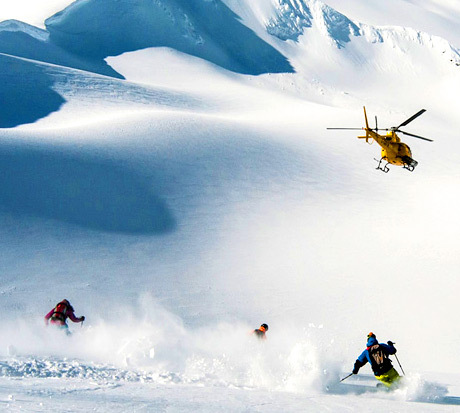 As part of the Bearfoot Bistro’s commitment to providing guests with the best possible experiences, we have partnered with Last Frontier Heliskiing to create the ultimate heli skiing adventure. 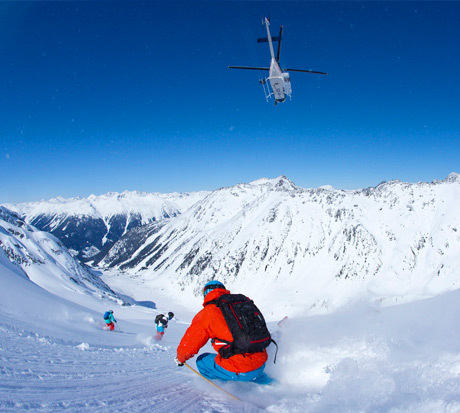 Last Frontier offers small group heliski tours out of two remote lodges in Northern British Columbia. Daily drops into the pristine alpine terrain are complemented by delicious après-ski treats, personalized massages, excellent fine dining and a wine list prepared by the Bearfoot Bistro’s renowned expert and bon vivant André Saint-Jacques. From the sabering in our wine cellar to the custom Champagne flute rail at the Bearfoot Bistro’s bar, our enthusiasm for Champagne is clear. Host André Saint-Jacques is an expert on Champagne – and is happy to confess it is his favourite drink. 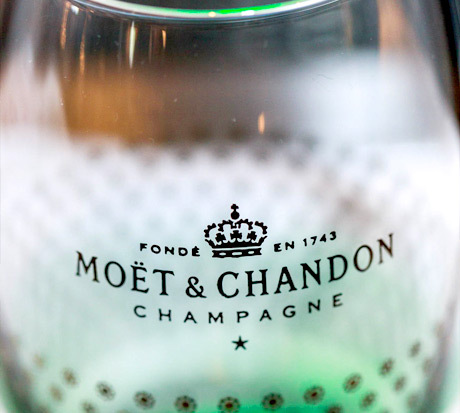 The Bearfoot Bistro is proud to partner with a Champagne house of such quality and world-renown as Moët & Chandon – a selection of fine and vintage Champagnes that have been synonymous with glamour and celebration since 1743. Riedel glassware and decanters are considered among the finest in the world. 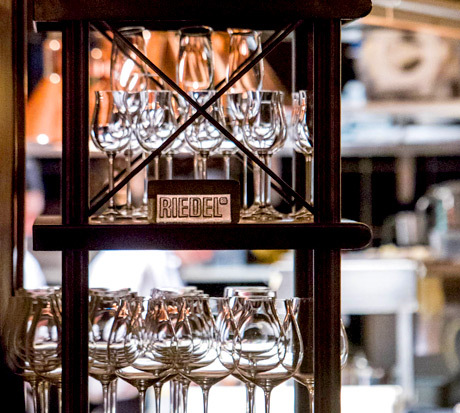 Guests of the Bearfoot Bistro will enjoy their wine served in one of Riedel’s varietal-specific glasses, designed to enhance the nose and flavor of the particular grape. 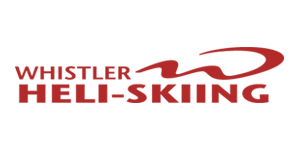 The Bearfoot Bistro is proud to partner with the best heliskiing operation in Whistler. Enjoy your exhilarating day carving through untracked powder in breathtaking scenery, and refuel mountaintop with your lunch catered by the Bearfoot Bistro. After a day of high energy thrills, you will return to the Bearfoot Bistro Heliskiing Lounge for après-ski drinks and snacks while watching the video footage of your incredible adventure.